Suzuki Motorcycles has launched the updated 2017 Gixxer range in the country alongside the updated Access 125 scooter. Both the Gixxer and the Access now come powered by a BS IV engine complying with the new emission rules prevailing in the Indian market. Price of the 2017 Gixxer range now starts from Rs. 77,542 (ex-showroom, New Delhi) while the Access 125 scooter begins from Rs. 54,302 (ex-showroom, New Delhi). The rear disc variant of Gixxer comes priced at Rs. 80,528 (ex-showroom, New Delhi). The new Suzuki Gixxer, Gixxer SF and the Access 125 come with several updated features alongside the BS IV powertrain. The new Suzuki Gixxer and the Gixxer SF adorn new body graphics enhancing the sporty appeal further. Also, the new clear-lens LED taillight and Auto Headlamp On (AHO) have been introduced to both these models. Speaking about the Suzuki Access 125 scooter, it comes sporting new colour scheme adding zing to the popular model. Like the Gixxer range, it has received the Auto Headlamp On (AHO) technology as well to meet latest government rules. The 2017 Suzuki Gixxer and Gixxer SF continue drawing power from 154.9 cc single-cylinder engine mated to a 5-speed transmission. The engine is well capable of churning out 14.8 PS of peak power at 8,000 rpm and 14 Nm of peak torque at 6,000 rpm. Suzuki claims that the throttle response of the popular Gixxer range has been improved to deliver smoother performance. The Suzuki Access 125 is one of the few models in the 125 cc scooter segment in domestic market. The 2017 Access has received a Metallic Sonic Silver paint scheme alongside its existing five colour options. 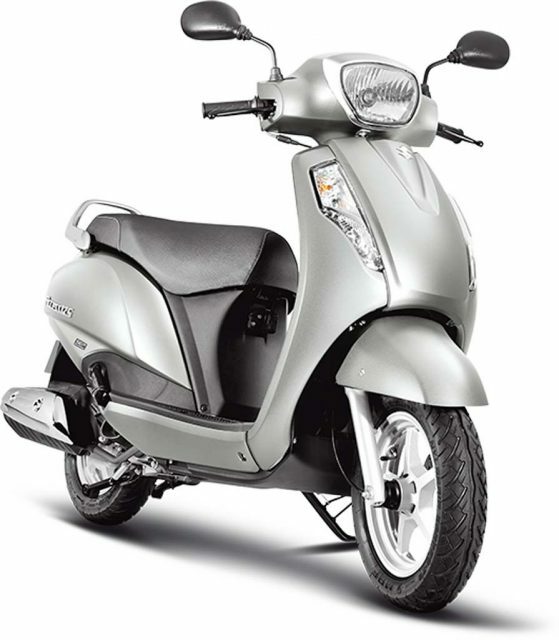 This model gets power from a 124 cc single-cylinder, air-cooled engine paired with a CVT. The engine comes kicking out 8.7 PS of peak power at 7,000 rpm and 10.2 Nm of peak torque at 5,000 rpm.